Member for Myall Lakes Stephen Bromhead to announced an immediate review of the Port Stephens-Great Lakes Marine Park (PSGLMP) following strong community support for a review. Mr Bromhead said this was an enormous win for the Great Lakes community as an immediate review will provide certainty for all stakeholders across the waterways. In the letter, Minister Blair said the previous Labor Government failed the community by establishing the marine park without proper consultation or a scientific threat and risk assessment. 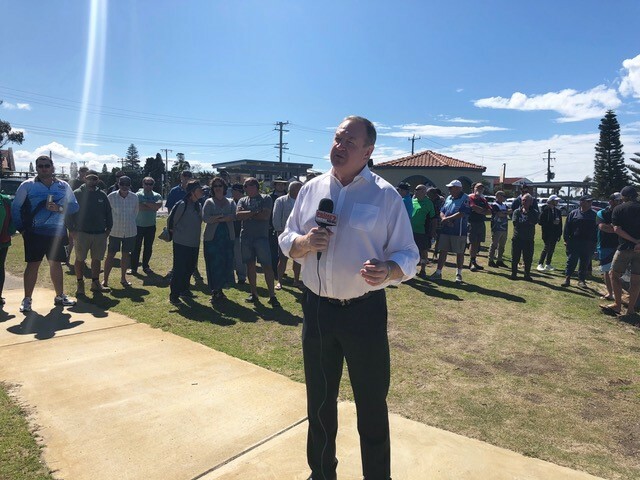 “We now have Minister Blair’s assurance to the Myall Lakes community that a re-elected Nationals Government will proceed with an immediate review of the PSGLMP,” Mr Bromhead said. “This fight first started in September 2018 when I stood with our recreational fishing community to put a stop to the idea of expanding Marine Parks in and around Sydney, from there I heard the calls loud and clear that it was time to review our local boundaries, it’s great to now deliver,” Mr Bromhead said. The review will involve extensive community consultation and the close involvement of the PSGLMP Advisory Committee, as well as an evidence-based approach to management of the marine environment.